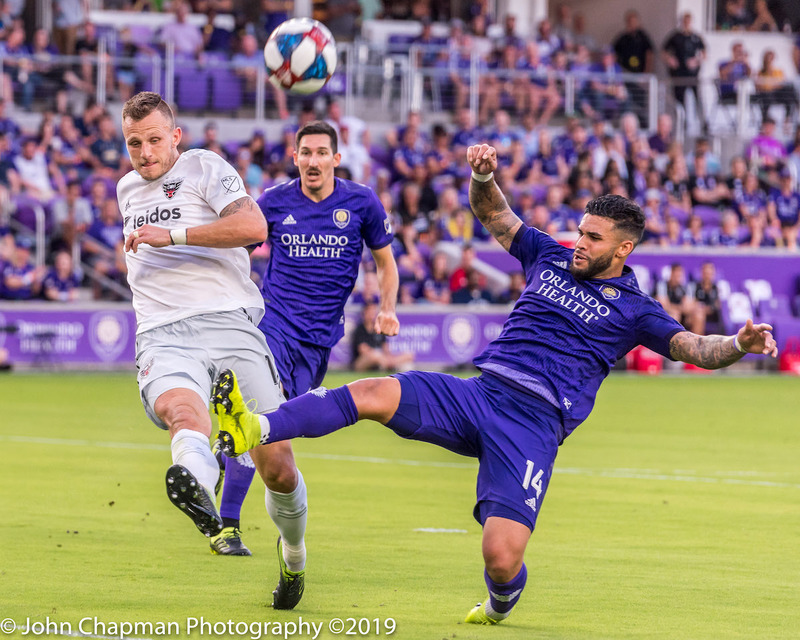 Orlando, FL – Orlando City SC (1-2-2, 5 points) dropped a 2-1 decision to D.C. United (3-0-1, 10 points) on Sunday evening at Orlando City Stadium. 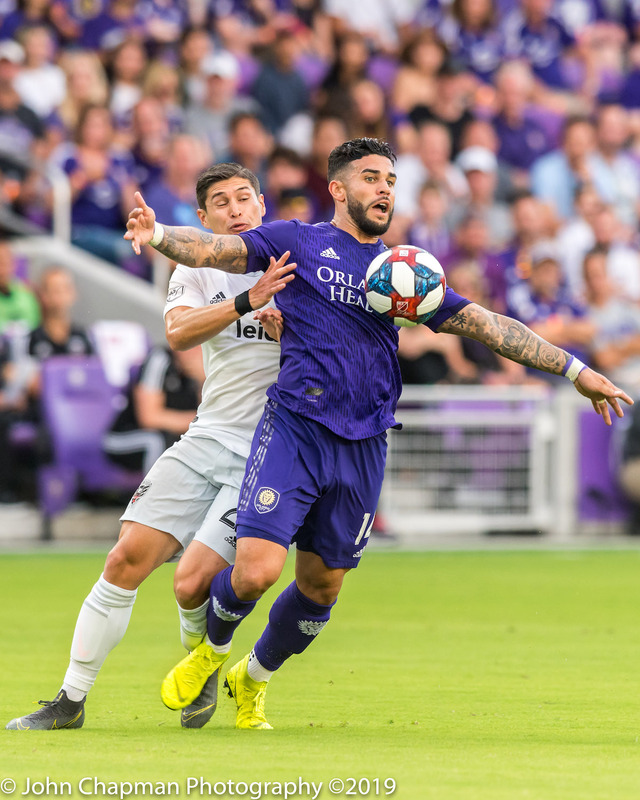 Dom Dwyer scored the lone goal for the Lions on the evening, one that served as his 20th for Orlando City in the MLS era. 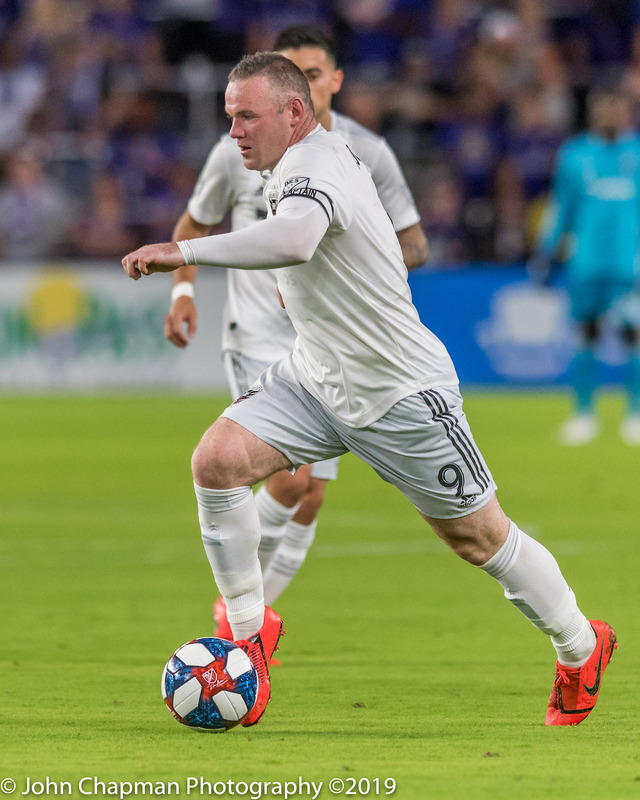 Unfortunately for Lions fans, the night belonged to Wayne Rooney. The Manchester legend was directly involved in both United goals. Assisting from a set piece on the first goal with a perfect cross that was headed in by Steven Birnbaum in the 6′ minute. Then later reminding everyone just how good he still is with a brilliant, curling free kick from the left flank and placing it just beyond Brian Rowe’s reach and rattling the inside of the right post before crossing the goal line. Filthy! There was a controversial foul call that set up the free kick but that is no excuse for bad defense and the perfect kick. “I think when you look at the first set-piece, we fell asleep on the set piece. I think when you look at the second set piece, it’s embarrassing at this stage. I’m at a stage now where the players need to be protected…The players go out and give an incredible second-half performance. Absolutely incredible. 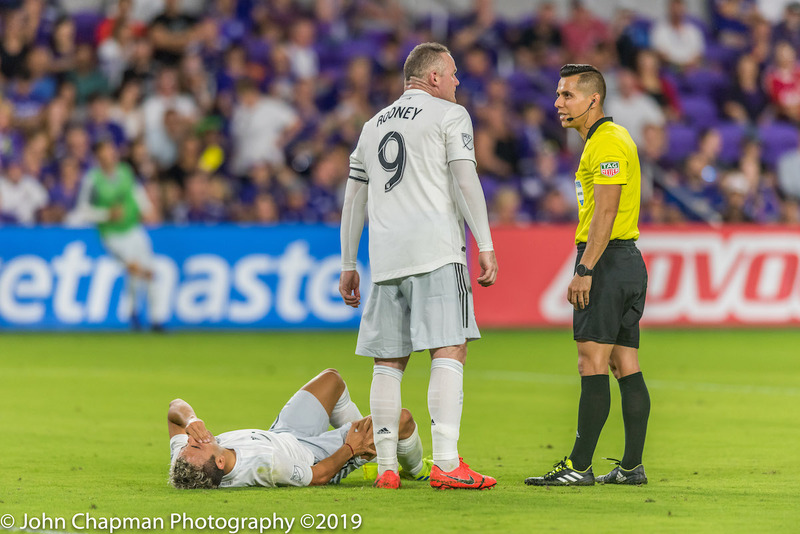 And yet we come off and we lose the game, again, through no fault of our own.” Orlando Head Coach James O’Connor after the game. Dwyer scored the Lions lone goal in the 63′ minute when he headed in a Chris Mueller cross for his team-leading third goal on the season. 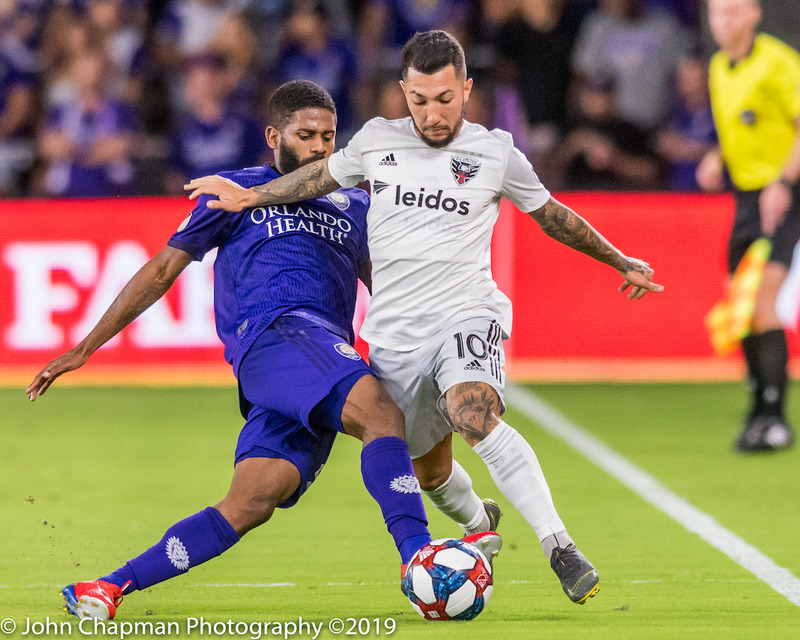 Mueller had an immediate impact on the match when he came on in the 59th minute for Sacha Kljestan. He quickly found his way on the ball and got himself into threatening positions in the United half. The goal cut the deficit in half but in the end, it just wasn’t enough. 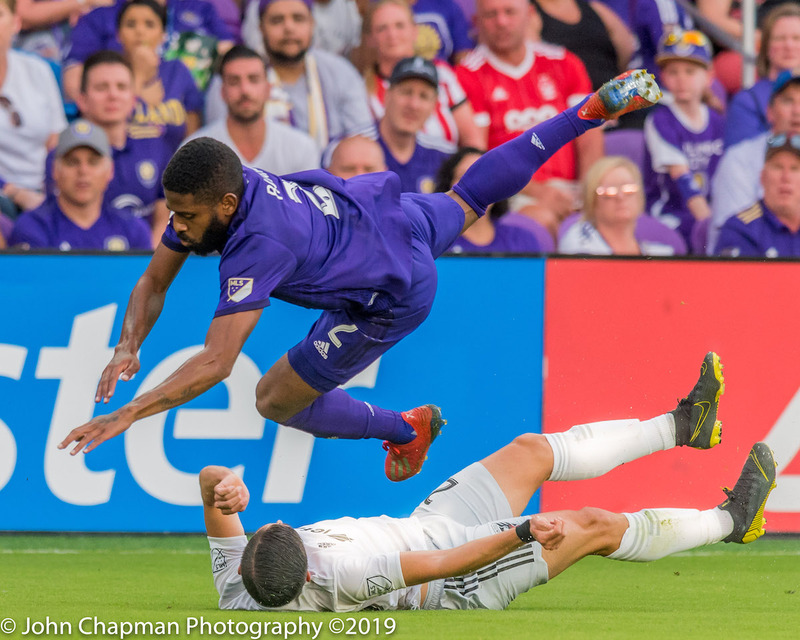 The Lions dominated possession (54 percent to 46 percent), took more shots (16 to 4), had more corner opportunities (seven to one) and, in general, kept United busy in its own half Sunday night and still lost. With the victory, United is off to its best start in 13 years, and it extended its regular season unbeaten streak to 14 games. 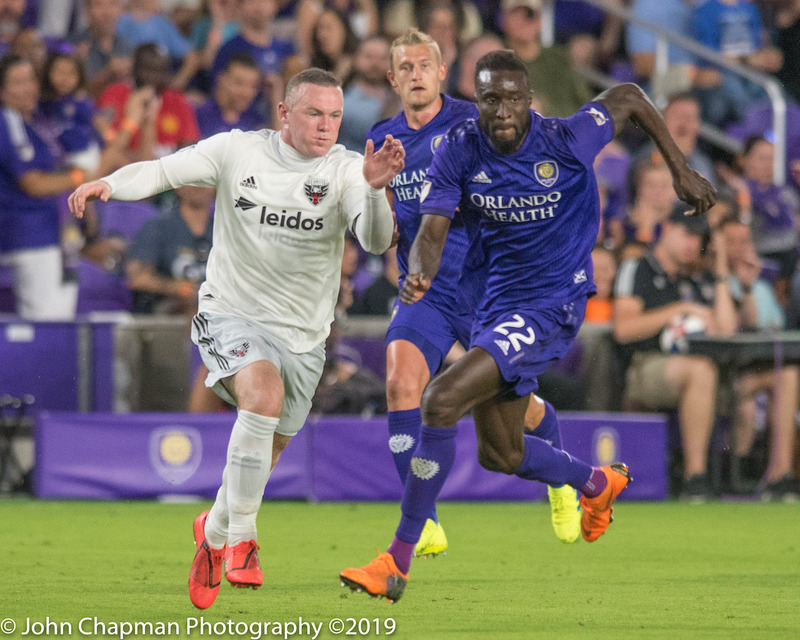 Sunday’s match was a reunion of sorts for Orlando City forward Nani and D.C. United forward Wayne Rooney, who were teammates at Manchester United from 2007-15. 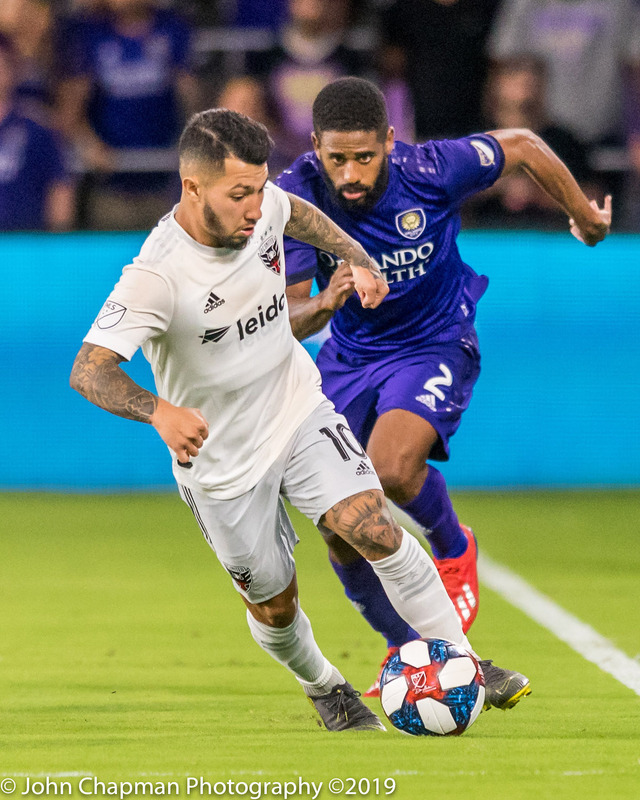 Dom Dwyer’s goal in the 63rd minute served as the first conceded by D.C. in 2019. Homegrown forward Benji Michel made his professional debut, coming in as a substitute for Nani in the 78th minute. 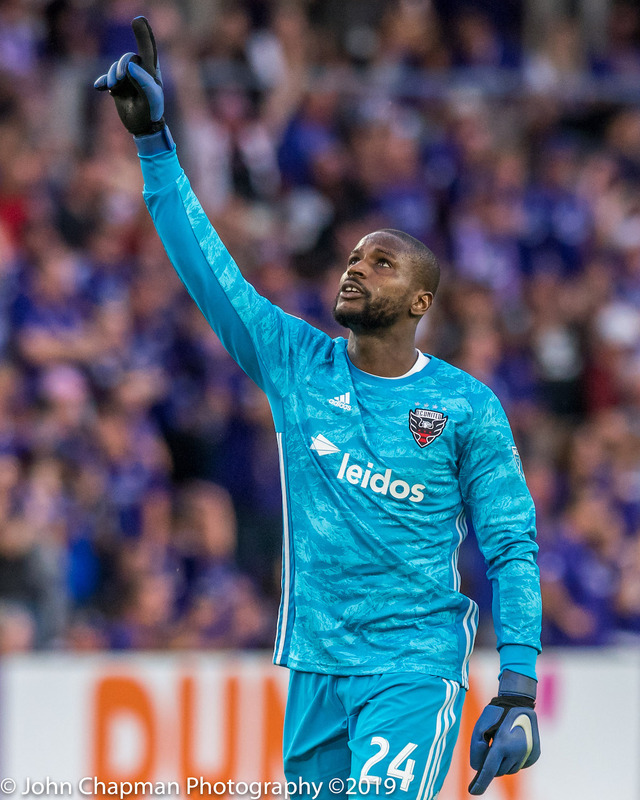 Goalkeeper Adam Grinwis appeared in James O’Connor’s 18-man squad for the first time in 2019. 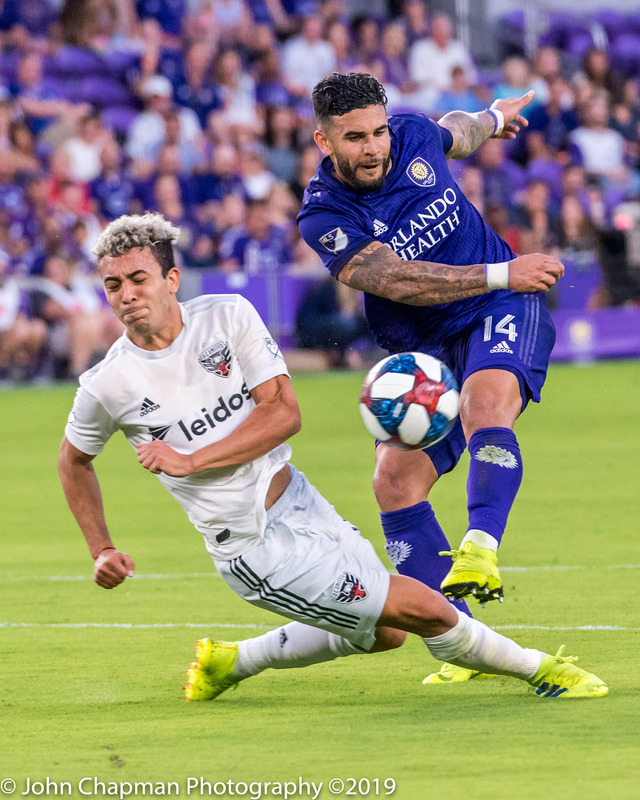 Dom Dwyer registered his 20th goal as a Lion in the MLS era. 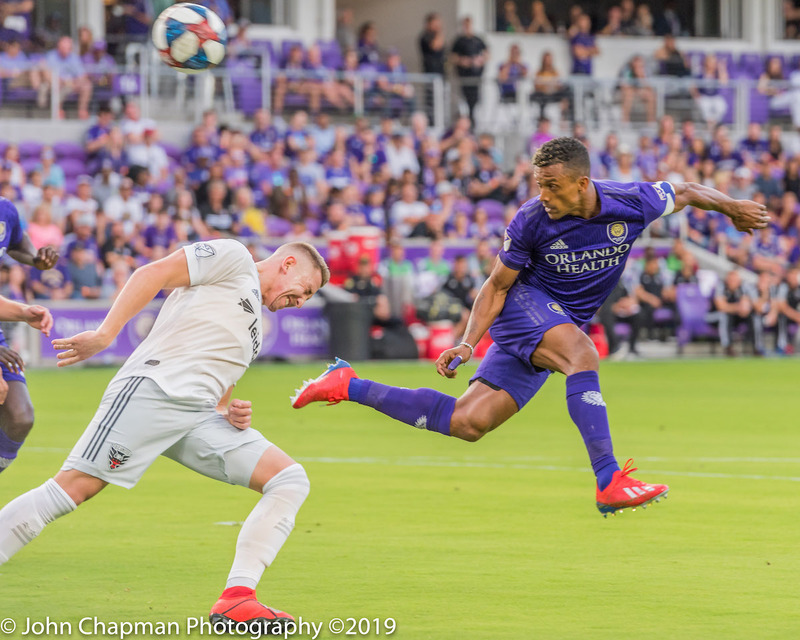 Orlando City closes out a two-game homestand on Saturday, April 6, hosting the Colorado Rapids. 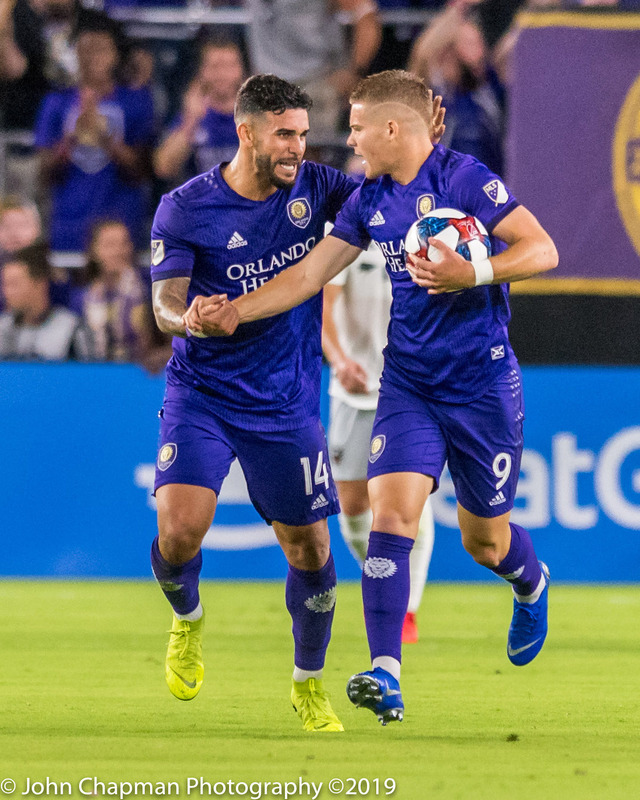 Kickoff is slated for 7:30 p.m. at Orlando City Stadium.